From Pre-Design to Occupancy There’s Only One Name – KRICK! For the Builder, a Mechanical Contractor that Assures Profit. Construction, like any business, rewards the Professionals. This is the reason that Krick Plumbing and Heating has been able to grow no matter how competitive the market becomes. The Reason is Professionalism. Smart builders know that it pays to come to Krick even while plans may be in the preliminary stage. Because Krick builds more, we know more. We have the advantage of trends and pricing. When budgets are tight, the Professionals at Krick can work with you and your Architect/Engineer, to give your product the best materials and workmanship at the most competitive price. KRICK: The Ability to Encompass And Control Every Facet of the Plumbing/Heating/Ventilation/Air Conditioning System Means: With Krick Plumbing and Heating, you have a subcontractor on your team that practically guarantees faster completion. Time after time, we have been able to beat our contractor’s construction deadlines. We have the capacity in manpower and equipment to do the job. For example, while some of our Sheet Metal is subcontracted for competitive reasons, we still maintain our own complete shop. Why? When deadlines get tight, we know we can call on this capacity to meet deadlines or needed changes. What we promise…we do! 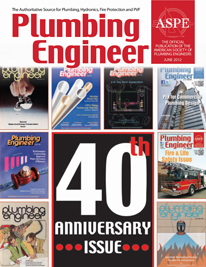 Since 1945 The Builder’s Plumber. No company is any better than the people who will service your requirements. So Why Us? The professionalism of meeting deadlines, meeting budgets, and meeting all construction criteria is our hallmark. Simply put, we perform. We produce our projects on time, under budget, and at a first rate of quality and expertise. Where quality and performance counts, we are, and have been, the Professional Builder’s Choice for Major Plumbing and HVAC Projects for over 65 years! Saves You Time and Money – Because we build more, we know more. This gives us an advantage in pricing trends and allows us to give you the best possible product, materials and workmanship at the most competitive price. Really Adds Up – Because of our solid industry reputation, Krick has earned a large bonding capacity rating. This frees up our client’s bonding for other projects and bids.